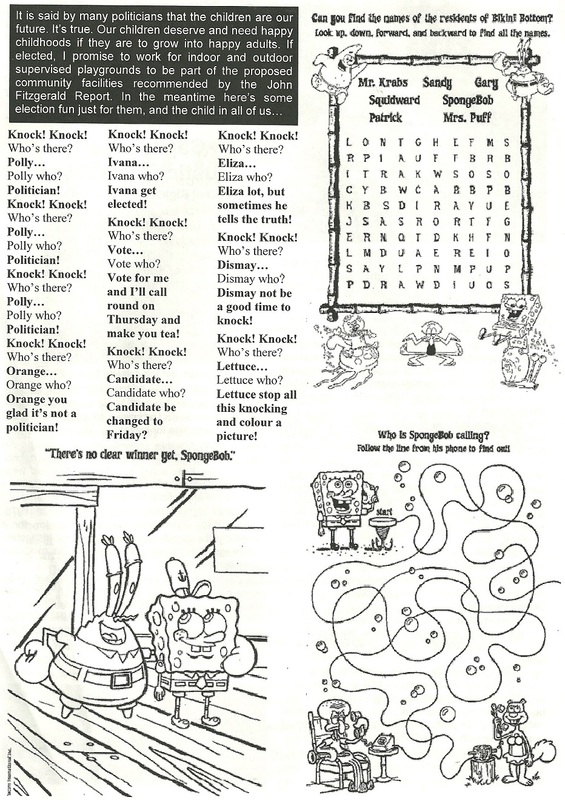 A page with entertainment for Children from an election newsletter from Cathal McCarthy who was running as an Independent in Limerick West in the 2007 General Election. I don’t think I’ve seen pages in election leaflets purely for Children other than Cathal McCarthys 2009 Local Elections newsletter. He polled 188 votes and missed out on a seat.